After a roller coaster year on the trade front, we are now well-versed in other countries’ trade barriers restraining Korean products and businesses. We, however, tend to forget how we are viewed in the eyes of other nations. The latest observation came from the Nov. 30 joint statement by five chambers of commerce operating in Seoul: the American, European, British, French and German Chambers of Commerce. The joint statement was the first of its kind. What was mentioned in the statement is their shared concern over regulatory barriers in Korea for foreign business entities. Some may refute the descriptions offered by the five chambers, but when it comes to regulatory barriers, foreign entities are not alone: Domestic companies are also pleading with agencies to ease regulation in various sectors. A rare joint statement of this sort raises a red flag. Our regulations need a close look in order to prevent the attractiveness of the Korean market for foreign investors from being compromised. What is wrong here? What is the problem? From the joint statement and other documents released by these chambers, here is a summary of the concerns. You figure it out yourself. Vague regulations and agency discretion undermine predictability, argues the joint statement. It is difficult for foreign business entities to know relevant situations in advance. Officials are typically cautious, defensive and risk averse. A thick book of regulations is dumped on the lap of foreign entities. And yet, clarity in regulations is scarce. Basically, one is told to figure it out himself or herself. When something goes wrong, regulation -- all of a sudden -- comes forward. Agencies pinpoint the regulation and explain why a breach has taken place together with consequences. This is portrayed as a “due process” concern in the joint statement and other documents. We are the same yet different. Foreign business entities complain about the lack of coordination and consistency among different agencies. Decisions are fragmentary and dispersed sometimes. One agency’s determination does not dovetail with another agency’s views. You are in a double bind. Again, let’s put aside for a moment whether such descriptions are entirely accurate or whether they stem from misunderstanding. What also counts here is the perception. If the shared perception of foreign business entities can be summarized as above, this in itself sends a critical message that should be taken seriously. The chambers of commerce need to be assured that their voices are being heard. We need a liaison officer in the government. There has got to be a person who is in charge of communicating with these foreign business entities and representatives and listening to their concerns. Outstanding issues can then be sorted out and sent to agencies in charge of the matter quickly. Misunderstandings, if any, can be dispelled. Something like a chief liaison officer or chief listening officer for foreign business entities in the government. The joint statement by the chambers of commerce tells us that we need such a post in the government. Deregulation was made a priority in the nation exactly 20 years ago. In 1998, the Regulatory Reform Committee was established, co-chaired by none other than the prime minister and a respected senior expert from the private sector. The committee is still in operation. It was also that year when then-President Kim Dae-jung instructed his ministers to slash 50 percent of all government regulations by year’s end. Twenty years onward, regulation still continues to be a source of debate and concern. 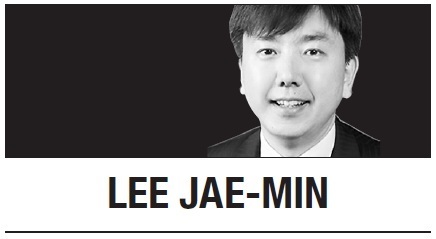 Sadly, foreign business entities still express concern over regulatory red tape in Seoul. “Korea-only” regulation and “Galapagos-type” regulation, as mentioned by the chambers, hardly match up with the national image we strive to build -- a dynamic Korea. The homepage address of the Regulatory Reform Committee is quite telling and symbolic. It is www.better.go.kr. That is so right. Dealing with regulatory red tape would help make the country better.